Mamma was convinced that Balmoral Reserve had the best views of the Dandenong Ranges - but Pinks Reserve is possibly better. 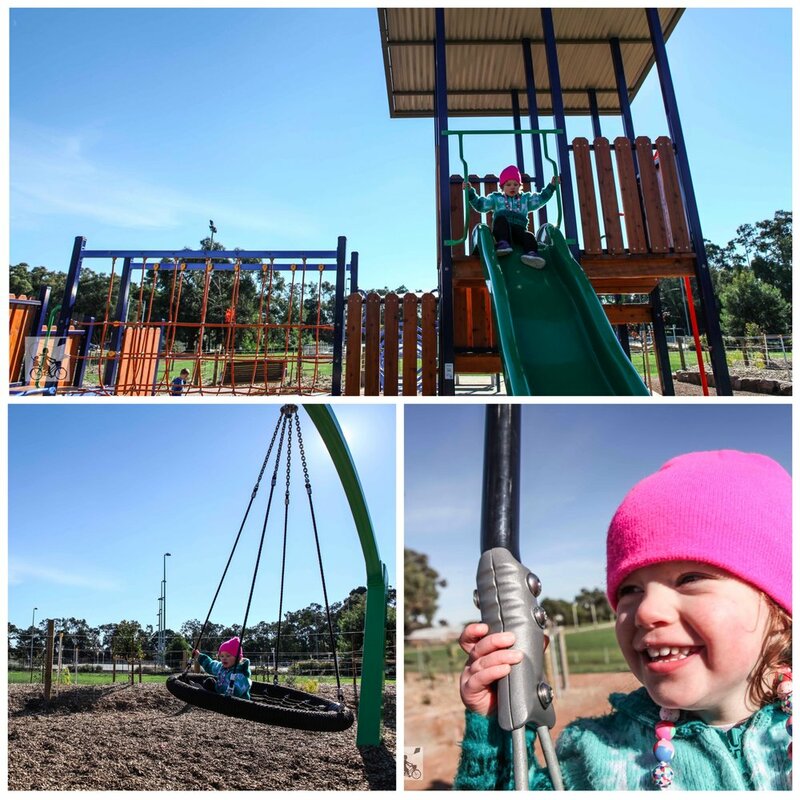 Another new addition to the Yarra Ranges collection of playspaces, Pinks Reserve opened in June 2017 and features Mamma's favourite swing of all time - the Expression Swing. A fancy name for the parent child swing which the kids will be begging you to try out. Add to this a huge rope pyramid complete with rock climbing wall, a big bright climbing structure, a wizzy dizzy spinning tub and a birds nest swing, this park is ace. There is stacks of open space too for ball games and a basketball court nearby. The playspace is just a small section of the recreational space here in Kilsyth, although until recent times I had only known of the basketball stadium at the front. 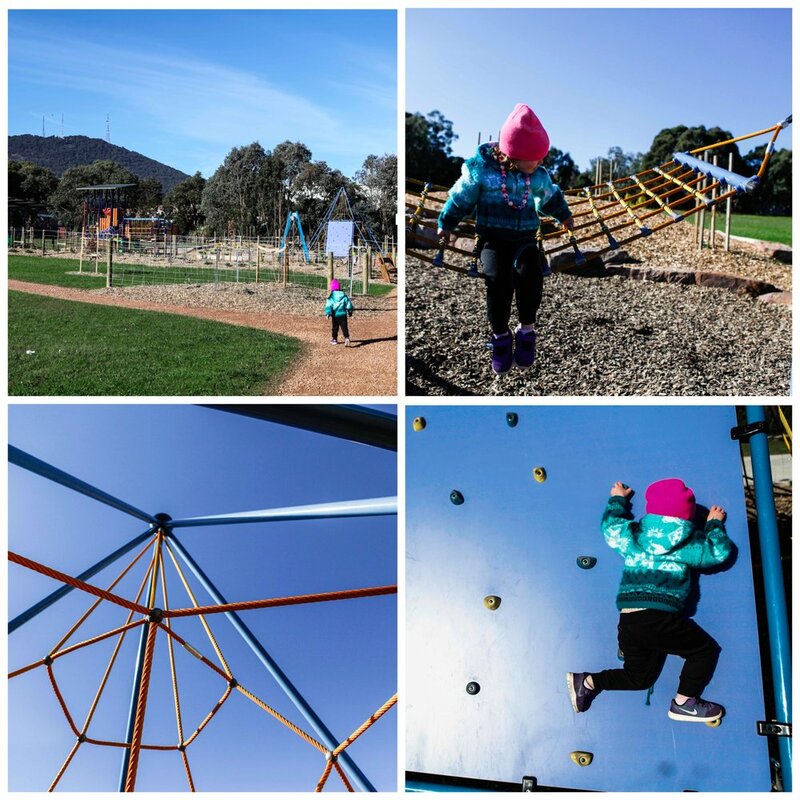 The playground is RIGHT up the back of the Reserve, between the football fields and netball courts. Keep this one in mind too - weekends might be FLAT OUT for finding a car park! Mamma's special mention: A cafe option nearby has to be Essenza Cafe in the set of shops - Colin's Place - on the complicated little corner of Liverpool, Durnham and Mount Dandenong Road. picnic shelter - open spaces for ball games - no shade - toilets with limited opening times - car park with moderate walking distance to playground - sporting grounds - walking trails - no roads nearby.